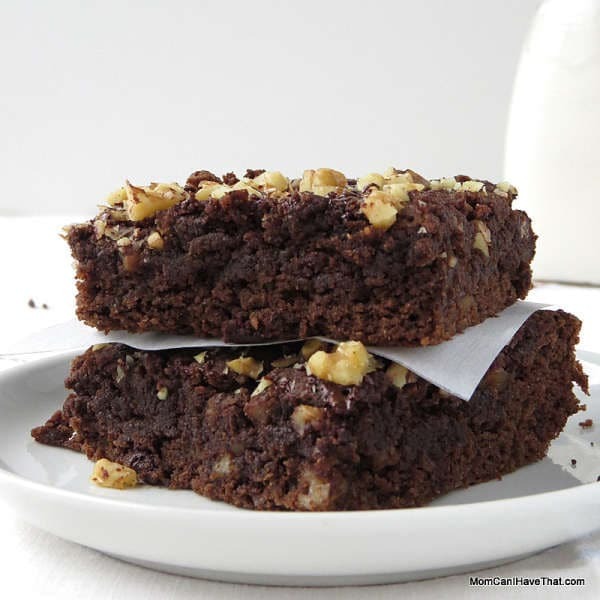 Low carb keto chocolate banana brownies are super moist thanks to coconut milk. Almond and coconut flour make them a delicious diary-free and Paleo treat. Originally, I developed this recipe to be a low carb Chocolate Banana Bread. After preparing it in mini loaf pans, as muffins, and in a regular sized loaf pan, I decided it would make amazing low carb brownies. The texture is moist and fudgy and delicious. Don’t get me wrong, the recipe works beautifully baked in loaves or as muffins, but the texture — oh, the texture! I have never eaten anything so moist in my life. To call it a chocolate banana bread or cake did not do it justice. 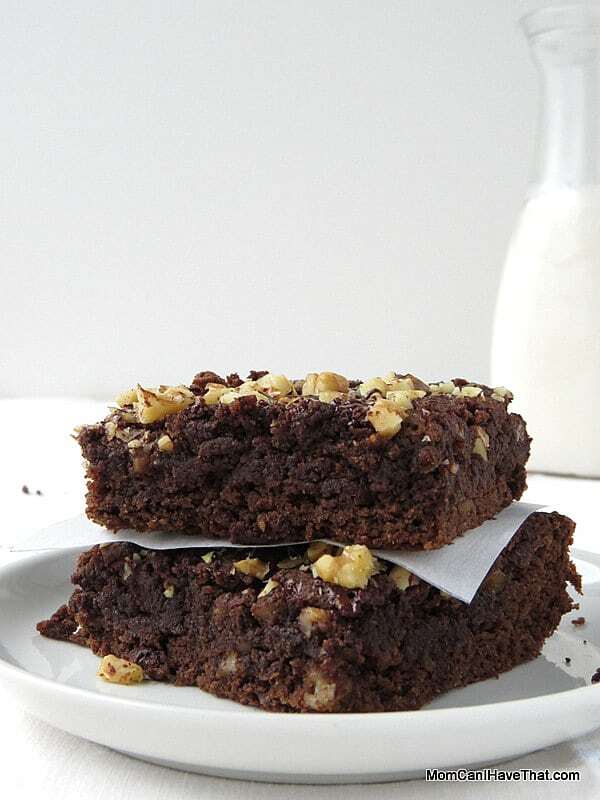 With a texture so rich, moist and fudgy, chocolate banana brownies was perfect. The banana flavor does not overwhelm the chocolate and the texture appears cake-like in the photos, but deceives. The first and second time I made this recipe I used my favorite mix of Bensdorp and Black Cocoa from King Arthur Flour and the color was so dark they did not photograph well. Using regular Hershey’s Cocoa resulted in the color you see pictured here, which is pretty dark. Both were good, but I preferred the flavor of my cocoa mix just a teeny bit more. These uber-moist keto chocolate banana brownies would make the most awesome base for a sundae! I just want to say a few things about the recipe before you run-off to make these! [LOW CARB BAKING INFO] Low carb baking is different than regular baking. It took me several years to forget what I knew about regular baking. Once I did, my low carb, gluten-free and dairy-free recipe have become better for it. My batters are much thicker than regular batters – this provides structure with out having to add gums and other thickeners. I use a minimal amount of Erythritol, Swerve or Xylitol. These ingredients are expensive so I use less of them and augment with Stevia Glycerite, which is a very concentrated sweetener. All of my baked goods are much less sweet than traditional items. That’s how I like it. Add more sweetener per your taste. Lastly, baking is fun – enjoy! Low Carb Keto Chocolate Banana Brownies is an out-of-this-world recipe that is not only gluten-free but dairy-free and Paleo, too. Chocolate and Bananas? Yes, please! Preheat the oven to 350 and position the rack in the lower third of the oven. Chop the nuts. Spray a 9 x 9 inch square metal brownie pan with cooking spray. Cut a piece of parchment paper wide enough to cover the bottom of the pan, come up the sides and drape over. Position it in the pan. Before measuring the dry ingredients, fluff them up with a whisk to remove any lumps. Lumps indicate compaction and you will end up using more than called for in the recipe. Measure and add the dry ingredients to a medium bowl and whisk together until combined. Add 2/3 of the nuts, stirring them in. In a smaller bowl, mash the banana with a fork - then add the flavorings, the eggs one-by-one, the coconut milk, and vinegar mixing in between additions. Scrape into the bowl with the dry ingredients and mix with a hand mixer until completely incorporated. With a spoon, place the batter evenly around the brownie pan. With the back of the spoon, gently distribute the batter in the pan - it is very thick and you will not be able to distribute it evenly with the spoon. Cut a piece of waxed paper and spray it with baking spray. Lay it over the batter and VERY GENTLY, with a sliding motion, use your fingers and hands to distribute the batter as evenly as you can. It just takes a minute and it won't be perfect -- don't worry, it will fill-in as it cooks. Add the rest of the nuts and all of the chocolate to the top, barely pressing them into the batter. Place in the oven and cook for about 25 minutes. 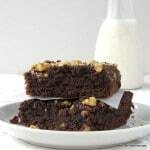 The chocolate banana brownies are ready when the top feels springy, but not soggy and wet, when lightly pressed with a finger. Cut into 16 servings. Each brownie is 5 net carbs. Hi! I’m trying to make these for my mom, but she’s super strict about how much swerve we’re able to use because it’s expensive. Is it okay to use coconut sugar instead? Okay so I did it! I used the same about of coconut sugar and their super super good! Also I made 3 flax eggs instead of regular eggs because I didn’t have them! Super yummy! Oh and also I didn’t have any of the right extracts except vanilla, but I used sugar free maple syrup and simply syrups like for coffee in mocha and it’s tasty! Thanks! This looks delicious, but I don’t like coconut that much. What could be substituted for coconut milk? Super brownies made with pumpkin instead of banana, since I don’t have kids or bananas. And I’ll be trying it as muffins or cupcakes too! Thanks for all your great recipes! I made these today & added 1 tbsp instant coffee – AMAZING!!! Kim: I assume you can substitute Avocado for the ripe Banana? Hello! I wondered if you have ever tried doubling the recipe for a 9×13 pan?? I’m planning on trying out your suggestion of the canned pumpkin, only because we don’t have bananas on hand. Thanks for taking the time to keep this blog, and for creating such fantastic recipes! The day that I can have “just one” of anything will be a happy one! Thanks for the quick response, I’ll post results! Culd the coconut flour be substituted with a different flour, or more almond flour? Or – any way of using all coconut flour ..?? And no almond flour .? What a great recipe! 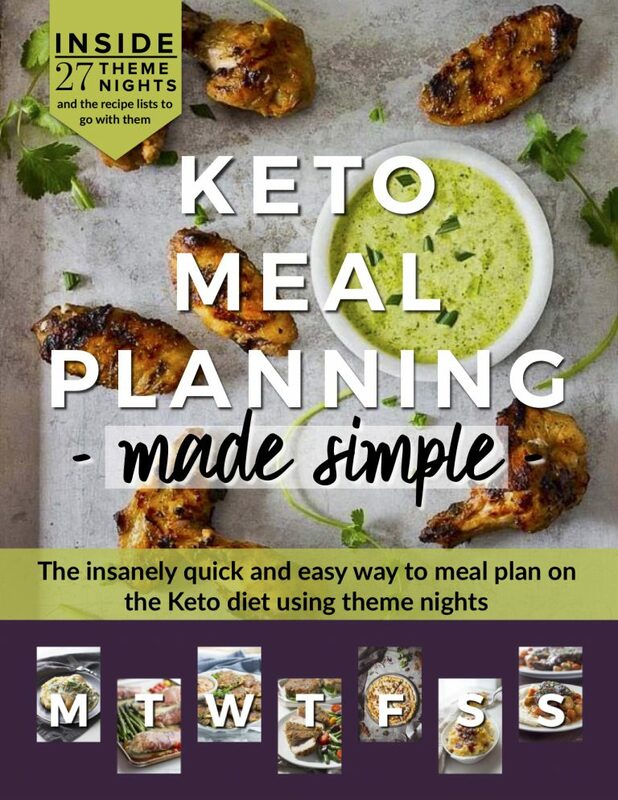 I recently was diagnosed with gestational diabetes and trying to keep some joy in life while limiting myself to such a strict diet has been nearly impossible until finding this site! These brownies are moist, gooey and fudgey and have such a great flavor to them! I subbed apple cider vinegar for white and they still taste great. I also only used 1/3 cup sugar substitute, as a previous recipe from this site was just a tad too sweet for me. I couldn’t be happier with this recipe. I cut my batch into 12 servings so each brownie is less than 1 carb serving (or 13g carb each). Taking out a bit of sugar also helped lower carbs. Thank you! Can I substitute granulated monk fruit for the sweeteners? I find an aftertaste with Swerve. Subtle but it’s there. Haven’t tried the other one you mention. Would this also cover the stevia glycerite as well? Thanks! These are very good. I’ll add this recipe to my book. I did use 3 duck eggs somthey were more cakey but no problem! 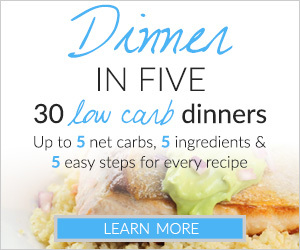 These are WONDERFUL, I’ve past it on to 2 low carb friends! Can the coconut milk be subbed with hwc? These look so amazing, I will eat zero carb all day to eat these at night!!! Hey Kim, I want to try this recipe for a dinner party this week. I’d like to use a combo of almond meal and hazelnut meal. What are your thoughts of using both in this recipe? Thanks for the reply Kim. I have the super fine blanched almond meal. If the hazelnuts are drier, I certainly don’t want a dry dessert. 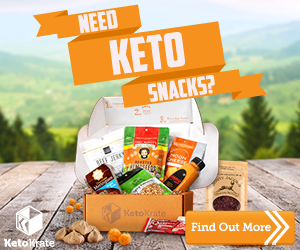 What is a sub for stevia glycerate ? These are magnificent! I substituted heavy cream for coconut milk (because that’s what I had), and used only almond flavoring. They are incredibly moist and delicious. Thanks for putting the weight measurement required for the bananas (6 oz.) because the first banana I mashed was only 3.7 oz and that would have made the brownies too dry. These are definitely doing in the “Keeper” file! I have a question about the banana as well. Wondering if sour cream can be subbed? These look soo yummy! Does the banana serve any truly necessary purpose? I only ask because of diabetes… I try to stay away from fruit. 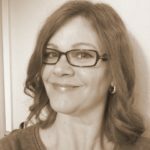 I just found your blog, as I’m constantly researching almond flour low-carb recipes, been eating LC 6 mos (I’m fighting pre-diabetic sugar levels). Your site and recipes look “out of this world” good and I can’t wait to try them. I’m impressed that your shortcakes and brownies are described as “moist,” and shortbread cookies described as “crisp” because my forays into LC baking haven’t given me consistent results. Thx also for explicit recipe instructions. Question though, on your recipes I see you add “vinegar.” Do you prefer distilled white or apple vinegar? Thanks, and I look forward to more of your recipes! These look so delicious! Holy moly! You are completely right, these would be killer as a base for ice cream sundaes :) And thank you for teaching me about baking without grains each time I read your blog! I’m understanding it more and more with each post! Thanks, Michelle. I’m glad you are finding my posts informative! I think this is one of the nicest comments I’ve received. Thanks, Gingi! They didn’t last too long… Luckily, they are easy to make.